GOYON-CHAZEAU’s signature is Cœur de Forge (forge heart). This is not only because the team puts all its heart to work but also because it is one of the the last to produce full forged table knives. 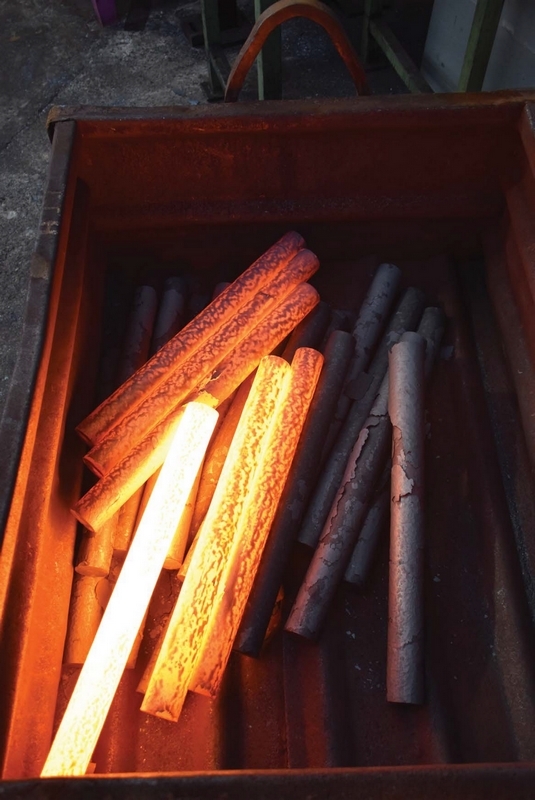 Guarantee of quality, this integral forge is made from a massive round steel bar heated until it merges. The bar is then pressed in order to obtain the final shape of the knife, a raw forged piece without any welding. Forged in the best steels, GOYON-CHAZEAU’s knives go through more than 40 manufacturing steps which main ones are the hardenning, the grinding, the handmade shaping and sharpening, to offer a perfect knife. 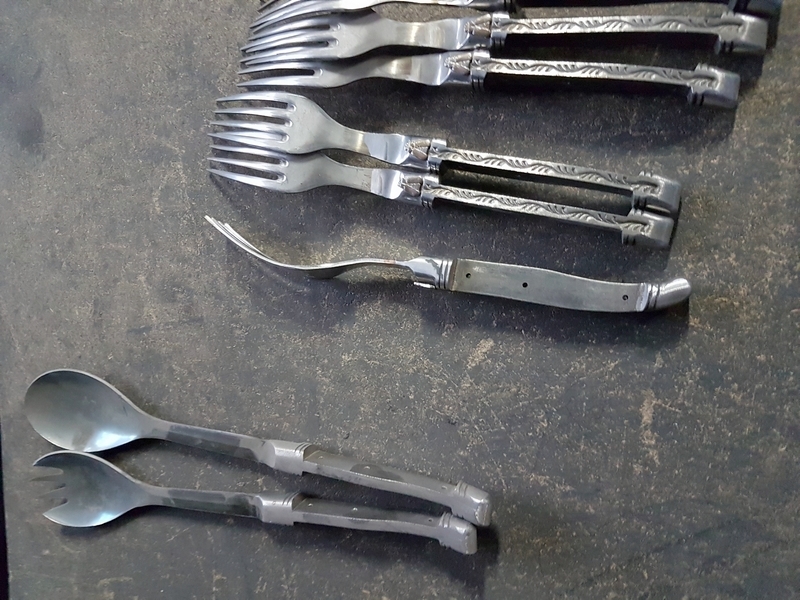 Forged quality is characterized by a high robustness and sustainability, an excellent cutting performance and a very good balance in hand. At the same time, GOYON-CHAZEAU is also looking for for ergonomics, noble materials and careful manual finishing. This search for perfection allows the company to propose incomparable and unique knives and cutlery with high added value.